A level 2 qualification with Skills Funding Agency (SFA), funding can be available for all age groups. The apprenticeship framework consists of a vocational certificate in relevant area, functional skills at level 1 in English, Maths and ICT. 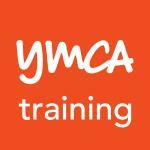 This is delivered whilst in placement or employed with 4 days working on the job and 1 day off the job attending YMCA training in our centre in Warrington. Average length of stay/course is 12 months. Access to this apprenticeship is also available through our Foundation Learning Programme. A level 3 qualification . The Advanced Apprenticeship Framework consists of a vocational diploma in relevant area, Functional Skills at level 2 in English, Maths and ICT. Average length of stay/course is 18 months (childcare framework also also includes paediatric first aid and induction standards). All vocational areas can be delivered as certificate and diploma only through self funding, employer funded or other funding streams. We have a selection of introductory qualifications for at level 1 that aim to prepare16-18 year olds to move on to an apprenticeship. This is through our Foundation Learning Programme, young people can also access this progeramme to have work tasters, develop personal and social skills. Functional skills from entry level to level 1 also delivered through this programme. Who are your services most suitable for? School learners from Year 10 and Year 11 school leavers, lone parents, employed and 16-18 year olds not employed. * 16 – 75 year olds – for privately funded qualifications. No waiting list - interviews arranged within a week and the programme is roll on/roll off with induction every 2 weeks.